Ben Schepens is passionate about computer science education -- and not in the occasional volunteer kind of way. 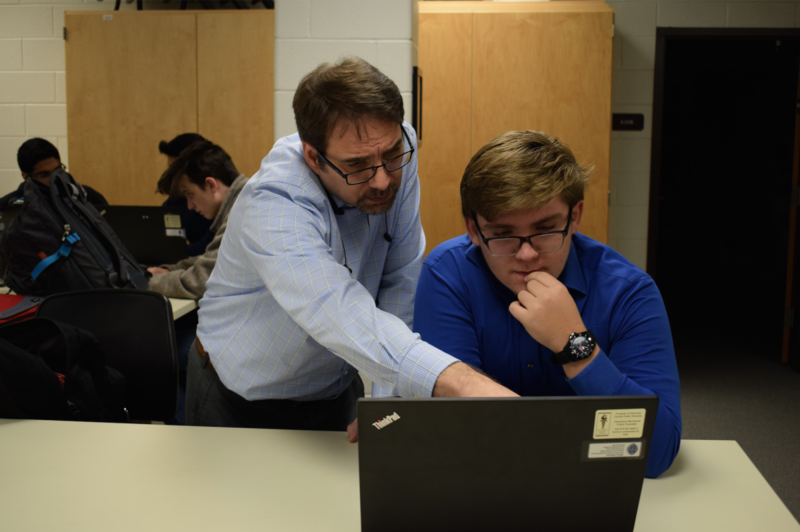 Schepens believes that Georgia high schools need more highly qualified computer science teachers. 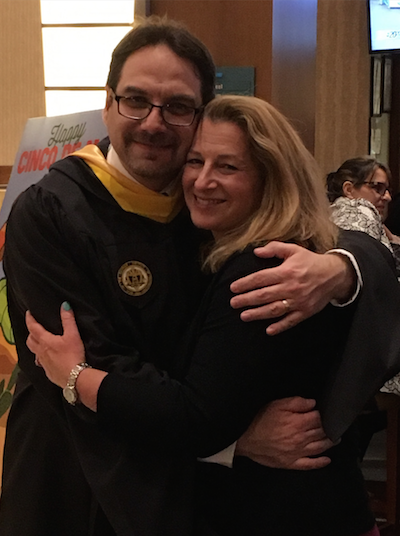 As a result of this passion, he now counts himself amongst these CS educators. When Schepens is passionate about something, he will do whatever it takes to bring that passion to life -- even if that means “surviving” Georgia Tech twice. Ben Schepens recently graduated from the College of Computing’s online Master of Science in Computer Science (OMSCS) degree program, but this degree is not his only one from Georgia Tech -- Schepens first graduated from the Institute in 1994 with his bachelor’s in computer engineering. Schepens has always been passionate about computers and computer science, which naturally led him to a successful career in software development for more than 22 years. However, the passion he felt for computing education was unfulfilled, and Schepens knew it was time for him to take the leap and do something different. He would go back to school and begin the process of becoming a high school teacher. 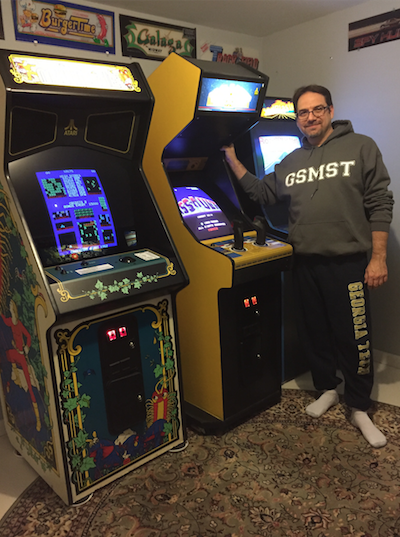 Rewriting his career has not always been the easiest path -- or the most conducive to Schepens’ hobby of rebuilding classic arcade games like Asteroids, Centipede, and Tron. OMSCS placed a huge demand on his time, often requiring Schepens to work on homework and assignments six days out of the week. As much as the program tired and challenged him, he would not change a thing about his experience. 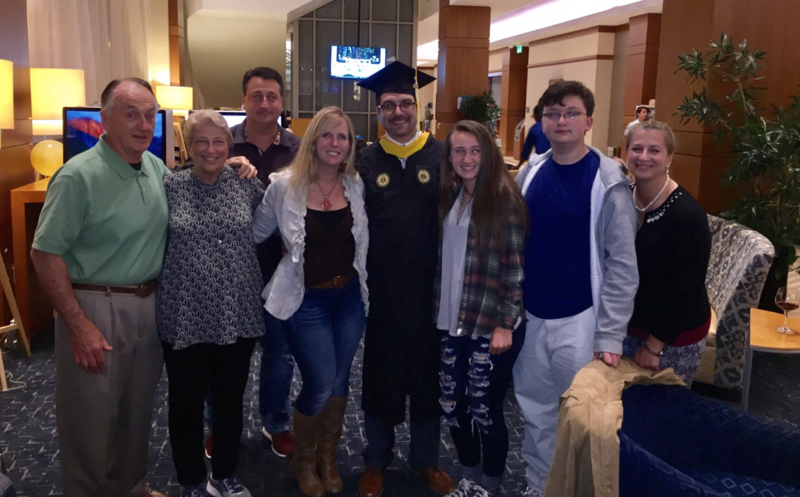 Thanks to the support of his wife, family, and his community of OMSCS peers, Schepens was able to complete the program while working full-time in software development and taking additional steps towards his dream of becoming a teacher. As of August 2017, that dream has been realized. That’s when Schepens started as a computer science teacher at Georgia’s Gwinnett School of Mathematics, Science, and Technology, which is consistently ranked among the country’s top high schools. Before OMSCS, Schepens likened many of the AI, computer vision, and robotics projects that he completed in the program to “Gandalf-level sorcery”. Since graduating, he said his suspicions were confirmed but now he’s one of the “sorcerers,” able to work his way through the types of projects that he’d always admired but which seemed insurmountable. In taking on the immense challenge of pursuing a completely new career and accomplishing his dream, Schepens is living his dreams and his future. “I strive to share my love for computer science with the kids in my classes in order to ignite their minds,” he said. “More importantly, I aspire to help them learn how to reflect not just on what they are capable of doing, but rather, what they feel they should be doing with the talents they have."